I don’t have any talent for painting whatsoever although I wish I had. And we’re probably on the same page here as you’re interested on making a masterpiece out of a simple but good photo. 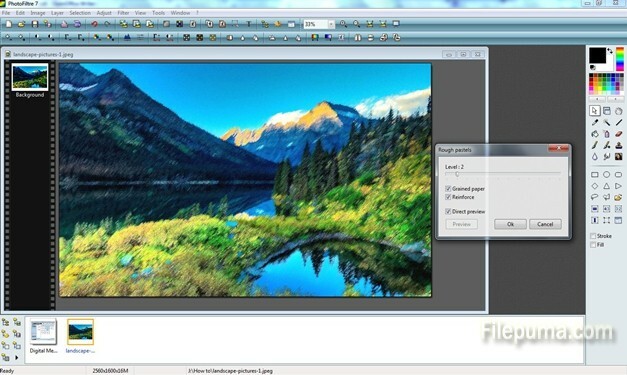 There are many pieces of software that can do that but with PhotoFiltre this is very easy. Here is how in a few steps. 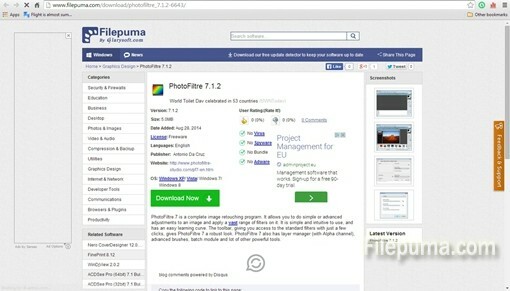 Step One: You can download the free software by clicking on the green “Download Now” button on the Filepuma.com site. 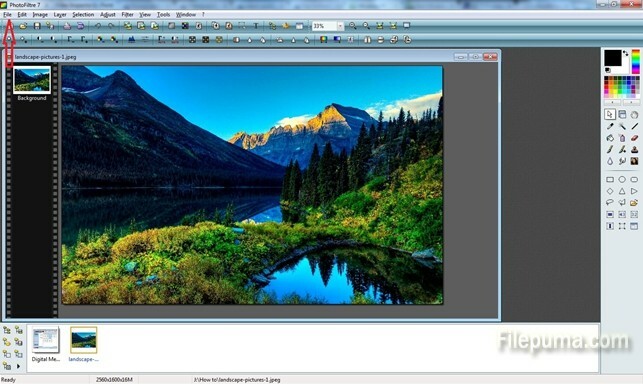 Step Two: After a simple installation process and running click on “File” and then select “Open” to open your desired photo. I just downloaded one beautiful random landscape from the internet just to show you how it works. 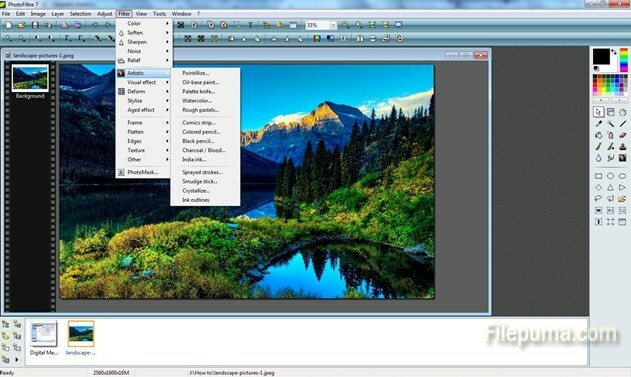 Step Three: Click on the “Filter” button on the upper menu then bring your mouse cursor to the “Artistic” option. Most of the usual photo filter software just give you the usual effects like black&white, sepia, old photo etc. but PhotoFiltre brings out the real artistic filters that can transform your photos into oil-like paintings. Step Four: Just look at the beautiful transformation of this photo with the “Rough pastels” artistic filter! You can play, of course, with the level of the filter. You have to check the “Direct preview” field if you want to see the effect changing the picture live. I also applied the “Grained paper” effect on hand for this filter. With a very good printer I think you can get yourself some beautiful paintings.